A company delivers official announcements in the form of press releases. It targets business industry and media regarding the latest developments from an organization. It acts as the professional approach where an authority introduces recent changes and work in a product. Especially, PR holds power for spreading messages from small businesses. As such firms lack in extensive resources, it is beneficial for them to understand how to write a great press release. Headlines are the first and most important widget to draw the attention of a reader. Thus, craft a headline which is precise and engaging. Moreover, for seeking the attention of journalists, prepare a robust email subject line. With such practice, you can discover strong reaction for the press release. The headline must match the criteria for great blog title or interesting articles. Make use of straightforward and short headings with clear and comprehensive language. No one has enough time to scroll down the long, detailed stuff or extracting out the focused work items. In the press release, the first paragraph must be the critical portion of the paper that highlights the points that you need to cover and deliver to the world. The interest of media and public ultimately depends on the offerings your press release unfolds, and which can be fulfilled by the opening paragraph of the media release. Hence, make a quality gist of the entire paper and write the first paragraph addressing the five Ws including who, what, where, when, and why with details in the following sections. The most important part of your press release is the story inside it. Reporters or public, people, seeks interesting stuff to read and get involved. Indeed, this interest can be generated with a story defining your brand and service. Impart details that strengthen your narrative, which seems a noteworthy development for the company. Limiting the content can expand more opportunities in case of the press release. Your PR should cover one page and maximum two pages. Put only the necessary information in the media release to the journalists as they always look for content in condensed form. Moreover, you will be delivering a simple document with the specification of the most salient features. Concise should be the characteristic of your content in the press release. However, providing detailed information is essential for the complete understanding of the announcement. 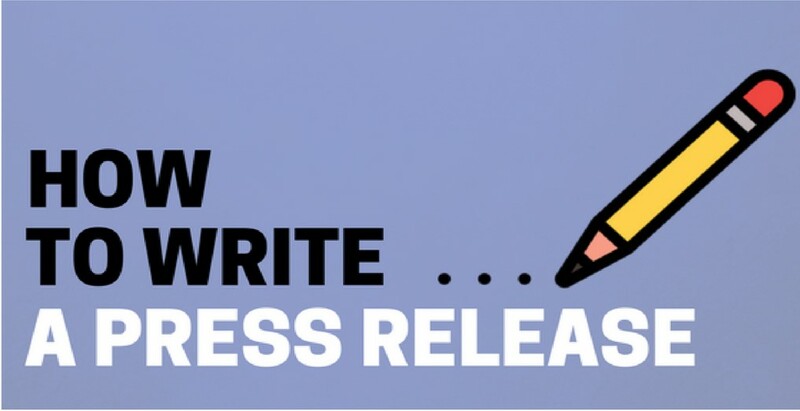 Make sure you deliver effective press release with enough and exact details. You should include bullet points and subheadings towards an easily digestible information. Moreover, you can add links to the content of press release relevant to the company websites, where people can collect more knowledge regarding your development and services. Represent the background information with a quote from the principal stockholders of your company. The quote can give a human element and behaves as the source of information useful for the journalists. Reporters can submit a quality information using the quote and show how this development can affect the industry modules and customers. Quotes make a beneficial attempt for your press release as they suggest the vital work of your development. Make sure the quotes provide the insights with straightforward and short content and not any technical language. Do not miss to mention the contact information your organization in the press release. Leaving out your contact is a vital step in its writing process so the reporters can know where to follow the authority whenever required. Specifically, phone number and email address of authority must be written for communicating. The press release is connected to the journalists or media person suggesting that you must deliver content that potentially seeks their attention. Significant writing norms can make you stand out of the crowd. As it says, work smart, not hard, above mentioned implications are crucial to exhibit favorable results for your press release.